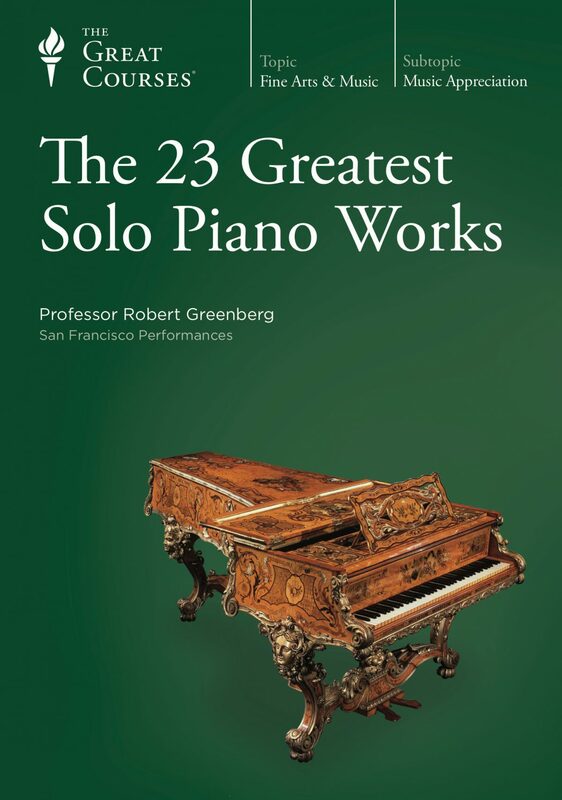 In The 23 Greatest Solo Piano Works, Professor Robert Greenberg offers an in-depth exploration of the solo piano works he considers to be among the most exceptional landmarks in the literature. 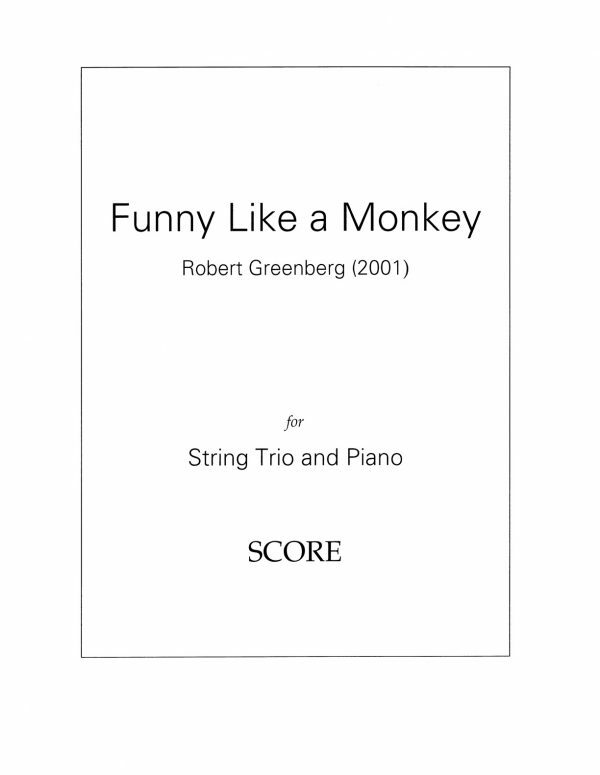 The 23 works you’ll study represent the selections of an internationally respected composer and music historian, carefully chosen to highlight the most significant compositional and pianistic achievements in the solo piano repertoire. 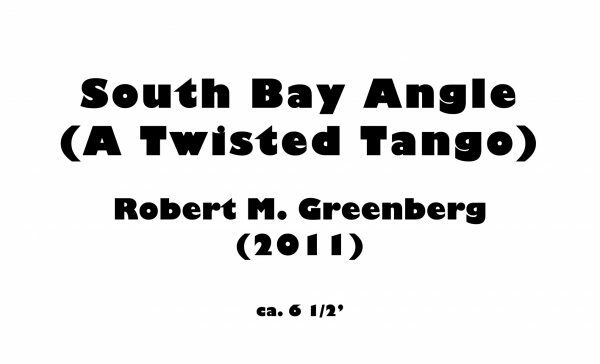 These engrossing lectures guide you through more than 200 years of music. 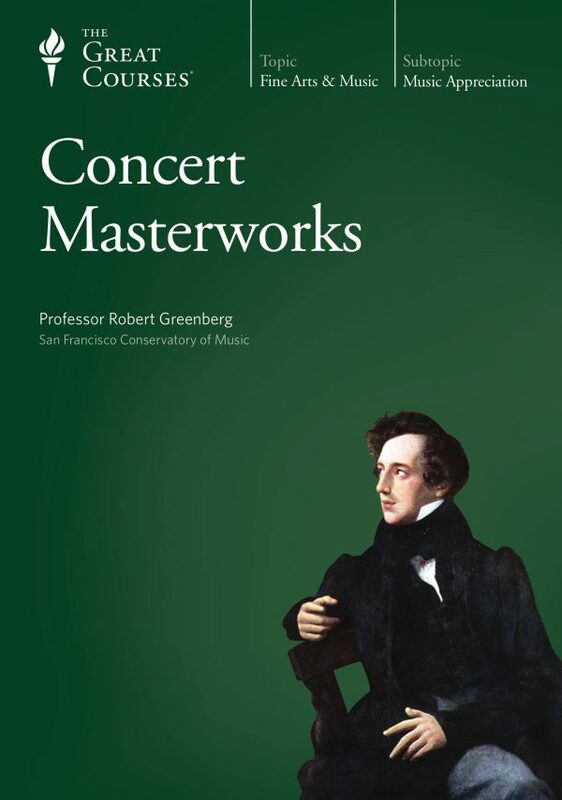 Beginning with the towering figure of Bach, followed by Mozart and Beethoven, you encounter the piano music of such great 19th-century masters as Chopin, Schumann, and Liszt, before moving forward to visionary modernists including Scriabin, Debussy, and Prokofiev. 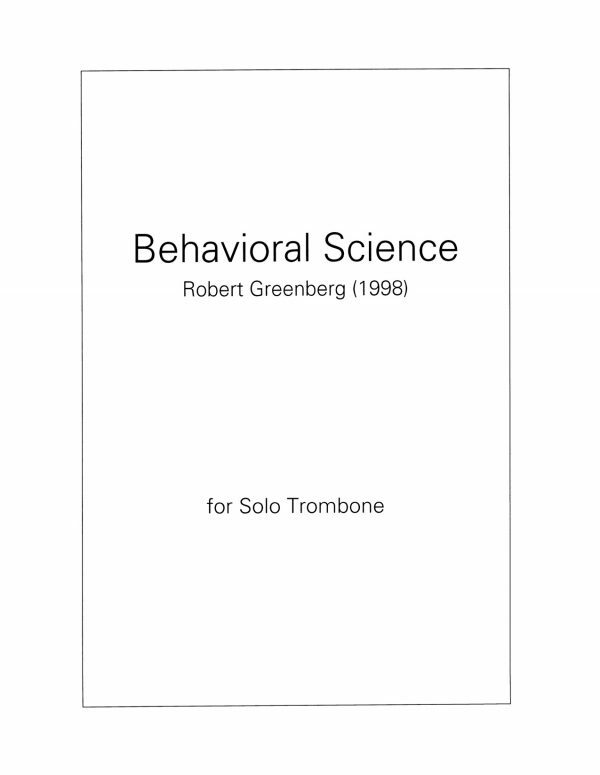 In Professor Greenberg’s trademark style, each lecture focuses on a single work in a fresh, accessible encounter with the musical substance of the piece, welcoming listeners new to concert music as well as experienced concert music lovers.